Got a spare throne room? This regal white Persian needs a home fit for a queen. It’s a royal new challenge for Kitty Corner, Mia and Michael’s kitten rescue outfit. They pride themselves on finding every cat or kitten the perfect foster home. 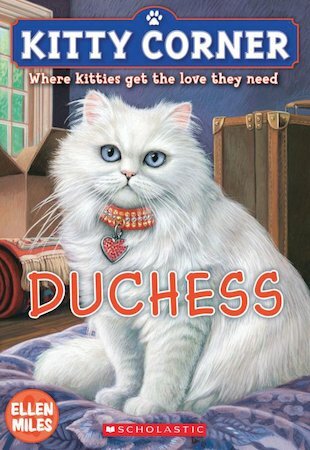 But Duchess is used to being pampered and adored. Can Mike and Mia find someone with the time and money to spoil this pretty Persian? Don’t miss this gorgeous story from Kitty Corner, brought to you by the author of Puppy Place.